Mr. Hakainde Hichilema is a success story, a perfect example every Zambian child should follow to succeed. He gives hope to all the poor children in remote areas of the country that you do not have to be born rich and comfortable, you have the power to transform your lives regardless of the situation you are in. Hakainde Hichilema represents discipline, hard work and hope. We clearly share different political ideologies but there is a lot to learn from him. We all have to pray that he continues excelling in business because he is our own Bill Gates. Iam a member of the Patriotic Front but my strong belief is that we can as a country contribute to building Mr. Hichilema’s business profile and still compete with him politically. We do not have to accuse of being a Satanist to beat him during elections. He is a Christian who does not only pretend to be one but lives a Christian life. Very few Zambians have helped vulnerable children as much as Mr. Hichilema has done. Very few parents can claim to have brought up their children in a better way than Mr. Hichilema. Very few rich people lead simple life styles like he does. Whoever tries to judge him knows nothing about Christianity, leave it to God. We do not have to accuse him of doing wrong during privatisation for us to beat him during elections. We should all be proud of his good work and intelligence. We are so used to seeing foreigners do things Zambians can do. His part was to do the valuation and government full of experts, way more educated than him made the final decision to sell. The more you accuse him of selling companies the more you expose your ignorance. 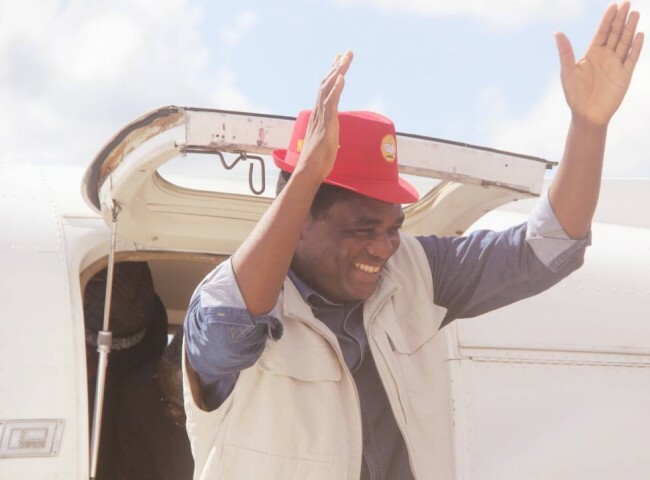 Who is Hakainde Hichilema? Hakainde Hichilema (Nsemu) was born in Bweengwa and raised by his uncle (elder brother to his mother). He went to Mooya and Nkandela Primary Schools and thereafter proceeded to Kalomo Secondary where he completed grade 12. He went to the University of Zambia where he studied economics. Whilst at UNZA, Mr. Hichilema started investing in cattle using savings from the student allowance. By the time he completed, he had 56 cattle and a farm in Monze West. He became an employer whilst at UNZA. After graduation he got a job with Coopers and Lybrand and later Grant Thornton. He later on obtained an MBA from the United Kingdom. Mr. Hichilema gave his first salary to his mother and with his second salary, he bought a plot in Kalingalinga and started building. He later sold it before completing construction and bought five plots in different locations in Lusaka. He sold 20 cattle, bought 30 cheaper calves and started building with the rest of the money and his salaries. Within five years, Mr. Hichilema had over 100 cattle and owned over 10 properties in Lusaka and Southern Province. He diversified his investments and started buying shares in companies and investing in more farms. Discipline, hard work and focus helped him became a financial magnet. He now co-owns some mines and huge meat outlets. He has ranches in Kalomo, Choma, Namwala, Batoka, Chibombo and other places. He has huge investments in real estates, properties in South Africa and the United Kingdom and has shares in huge companies. Talk of Maybrooke Property investment Limited, More Beef Limited, Quantum Assets Zambia Limited, Zambezi Sun international Hotels, Pick ‘n’ Pay, Game Stores, Delloitte and Touche, ALS Capital, Beef Up Zambia Limited, Buluwe Properties Limited, Hillview Properties Limited…..the list is long. Despite his involvement in politics he has kept his business empire growing. You may not agree with him politically but there is a lot to learn from him. He is a humble tycoon whose children lead a simple life style. They have also learnt hard work and investment at a tender age. Their commitment to school and dedication to God is second to none. Forget about the political differences and take time to appreciate this son of the soil. You praise Dangote and practically worship him every day but we have our own tycoons. There is more to life than politics. We are one people and we have to learn to appreciate each other. Stop preaching poverty. Stop glorifying suffering. Stop worshiping laziness. Stop entertaining hate. Love, love even more and continue loving…..within love for the success of others lies the formula to your own success. Mr. Hichilema, you are a great man. You don’t have to be President to be remembered as one of the most successful Zambians, you have earned it already. May you share your success story and reach out to all the young Zambians. As we meet on the political battle field with different political ideologies, know that I have great respect and admiration for you. I and many young people grew up trying to be you and God has brought us this far slightly different but we shall also ascend to greatness in our own way and I remain a strong and proud member of the Patriotic Front. May God bless you sir!